Nest Protect is designed to detect smoke and carbon monoxide (CO) in a residential environment, with multiple sensors to help it understand what's happening in the home. For read access to all Smoke+CO alarm API data values, select the Smoke+CO read permission for your client. There are no write permissions available for the Smoke+CO alarm API. Nest devices are listed by type as an array of IDs, which can be used to uniquely identify a device via the device path. So a smoke+co alarm ID of "RTMTKxs..." means that you can load the smoke+co alarm device model at devices/smoke_co_alarms/RTMTKxs... via the API. When a device is connected to multiple products, each developer will see a different ID for that device. For a device that has installed multiple products from the same developer, the developer will see the same ID. Two name attributes are provided. The shorter name attribute is displayed in user interface labels, while name_long is used in long form text. 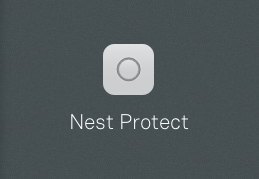 In this example, name is "Nest Protect". 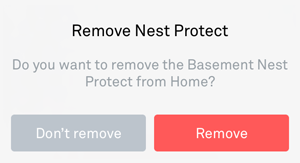 In this example, name_long is "Basement Nest Protect". Learn more about where names for Nest Thermostats, Nest Protects and Nest Cams. 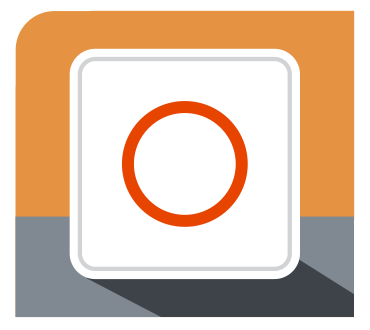 When you choose the Smoke+CO read permission, you can access the device where_name from the device object (devices/smoke_co_alarms). All data values are read only, unless otherwise specified. is_online Online status. This is determined by Nest using the last_connection time and an expected reconnection window that is device-specific. Use the battery_health field to view the battery health state. Use the co_alarm_state field to view the CO alarm state. Use the smoke_alarm_state field to view the smoke alarm state. Use these fields to check if a manual smoke or CO test is currently active, and the last time a successful smoke or CO test was performed. To make it easier to design a coherent cross-product UI, we've provided the ui_color_state field, which gives a high-level indication of the overall state of the Nest Protect. It is derived from is_online, battery_health, co_alarm_state, and smoke_alarm_state, providing an aggregate condition that reflects the actual color indicators displayed in the Nest app. For information on what API call errors mean and how to handle them, see Error Messages.